When it was released on January 29, 1959, the Disney© film Sleeping Beauty captured the hearts of children young and old. But because the film was so expensive to make, Disney actually lost money on it – so much so that the company would not make another animated fairy tale for 30 years! Like a fine wine, however, the film has grown in both popularity and critical acclaim as it has aged over the last 60 years. Now the film and its wonderfully animated characters are commemorated on an impressive silver proof that celebrates all the magic and charm of Disney’s Sleeping Beauty. Struck in one ounce of highly-pure 99.9% fine silver, the 2019 Disney Sleeping Beauty coin features an enchanting design that showcases Princess Aurora, the handsome Prince Phillip awakening Aurora from eternal sleep with a kiss and, of course, the magnificently evil witch Maleficent – one of the most sinister Disney villains ever. 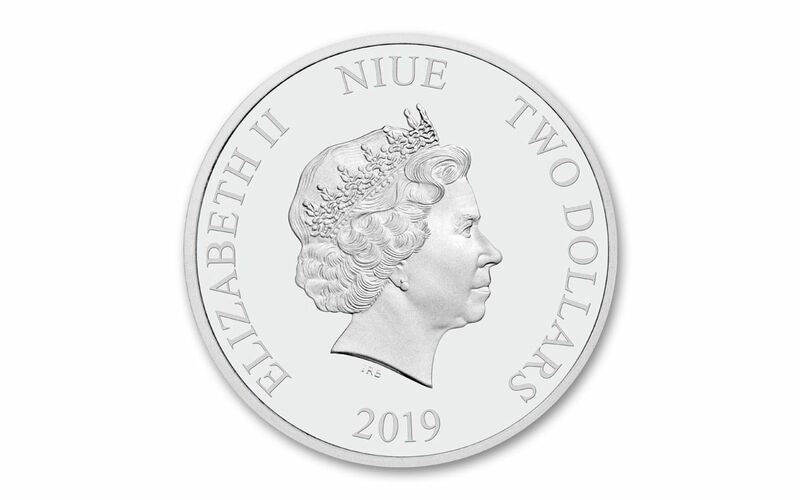 Struck by the New Zealand Mint on behalf of the island nation of Niue, this two-dollar legal-tender coin will come in gorgeous Proof condition, meaning it was expertly crafted by the mint from hand-selected planchets, polished dies and multiple strikes to produce beautifully frosted details rising over mirror-like fields. Officially licensed by Disney, it will also come beautifully displayed in its original government packaging. The first animated film to be shot in the Super Technirama 70 widescreen process, Sleeping Beauty is hailed today as one of the greatest animated films ever made. Delightful, scary, full of lush animation and an outstanding musical score – and let’s not forget one of the all-time greatest villains – it’s no wonder that this film is more popular today than it ever has been. That’s why we expect these Sleeping Beauty One-Ounce Silver Proofs to dance right out of here. And with just 10,000 struck for the entire world, you won’t want to sleep on these coins because that low edition limit is no where near enough to satisfy all the fans of Sleeping Beauty and the people who collect Disney memorabilia. A COMMEMORATIVE COIN 60 YEARS IN THE MAKING – This coin was released in 2019 on the 60th anniversary of the Disney film Sleeping Beauty and features images from the popular animated feature film on the reverse and a regal portrait of Queen Elizabeth II on the obverse. STRUCK IN HIGHLY-PURE SILVER – Each 2019 Disney Sleeping Beauty coin was struck at the New Zealand Mint in one ounce of highly-pure 99.9% fine silver. 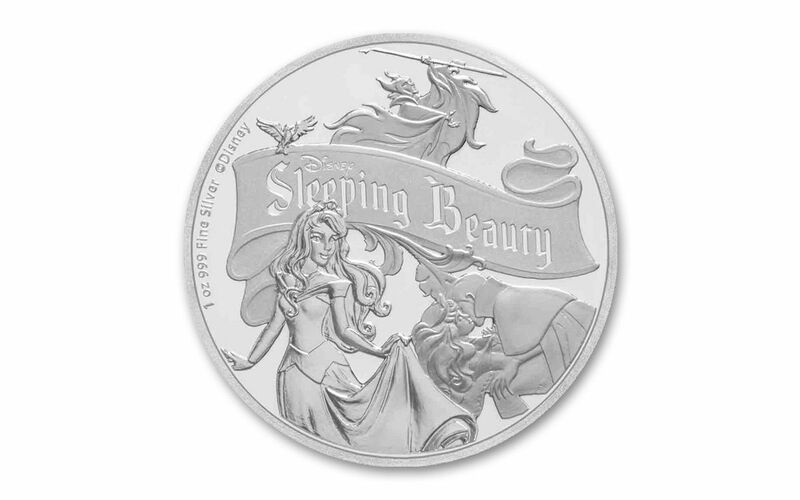 GORGEOUS PROOF CONDITION – Your 2019 Disney Sleeping Beauty One-Ounce Silver Proof will come in gorgeous proof condition, meaning it was expertly crafted by the mint from hand-selected planchets, polished dies and multiple strikes to produce beautifully frosted details rising over mirror-like fields. 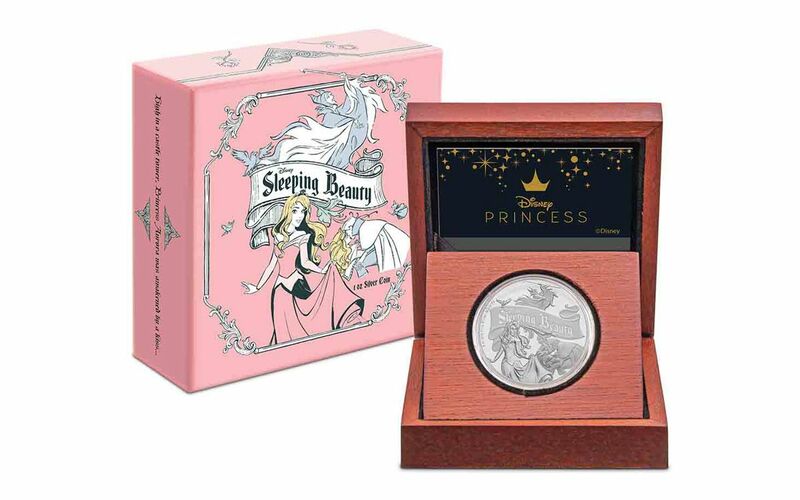 LOW LIMITED EDITION – The worldwide edition limit for the 2019 Disney Sleeping Beauty One-Ounce Silver Proof was set at only 10,000. A classic like Disney’s Sleeping Beauty deserves a commemorative that really shines – and this is just the one! Click one to your cart today. It will make a great addition to your collection or a wonderful gift to someone special.